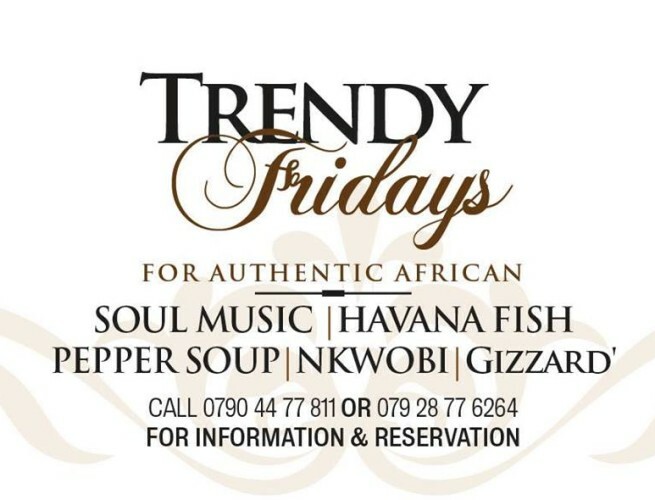 TRENDY FRIDAYS cater for the African-Black and Other elites in Aberdeen, Scotland! The pop-up dining event is a fortnightly alternative to an African Restaurant in Aberdeen City but it adds value! TRENDY Fridays provide a diverse mix of activities for networking, food, drink and music under a relaxed atmosphere! Come along with your spouse, partner, friend, colleagues and others for an evening of fun and networking that makes sense! TRENDYPR is a Scottish Based Organisation. We support economic and social growth within the African-Black communities by creating sustainable projects with a focus on creativity. Our vision has been supported by Vibrant Aberdeen, Foundation Scotland, EventScotland and Heritage Lottery Funding. We are able to provide quality and consistent service with our access to and partnership with our Sponsors, Industry Consultants, Film, Media, TV, Events and other creative networks.